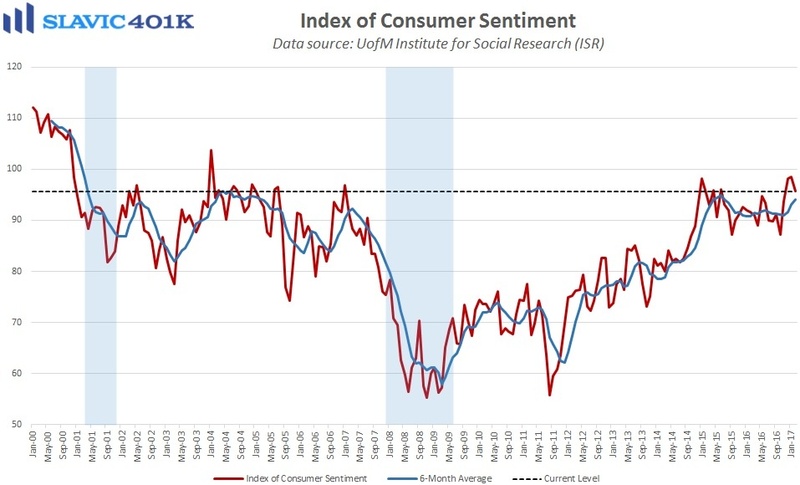 The consumer sentiment index from the University of Michigan slid to 95.7 in the first half of February, worse than expected and the weakest headline reading since November. Under the hood, surveyed Americans’ reported optimism about current conditions was little-changed in February while their outlook on the near-future (six months from now) deteriorated to a 3-month low. Moreover, consumers’ expectations for improved personal finances five years from now softened this month even as opinions of how their financial situation had fared over the past five years rose to a recovery high.